12 Compartment Plastic Box and Bin Rack (Holds 5 SP12-CLEAR Boxes) - Ferry Hydraulics Inc. 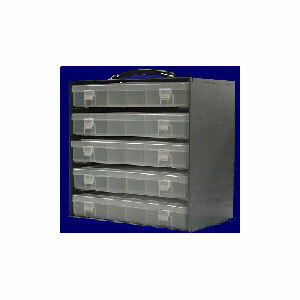 This clear, 12 compartment plastic box is ideal for hydraulic kit parts for accessibility and organization. The bin rack with carrying handle holds 5 of the 12 compartment parts boxes.